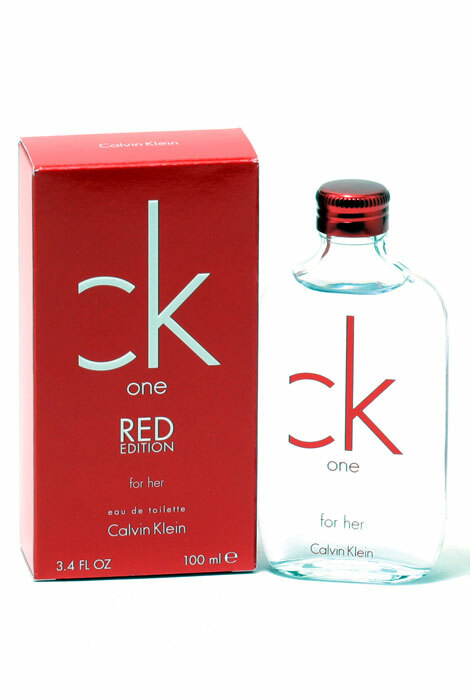 CK One Red by Calvin Klein is a fruity, floral scent. This red hot women's perfume has top notes of violet and watermelon. Floral middle notes and base notes of amber, musk and patchouli gets things heated up! 3.4 fl. oz. An EDT fragrance for women. No express shipping. No shipping to PO boxes.